Planning on dyeing your hair at home? Make sure that you read these eight tips before you get started, as they will help you to achieve salon-quality color. When dyeing your hair at home, one of the very first things that you will need to decide on is the color that you want to go for. Keep in mind that the final outcome will likely be a couple of shades lighter than the photograph on the packaging. Well, permanent at-home hair dyes contain a developer mixed in with them. This developer is responsible for depositing color onto your hair, and is usually measured in volumes. Hair dyes that are created for home use can contain anywhere between a 10 and 30 volume developer, but 20 is usually the standard. This means that most at-home hair dyes only have the capability to change the color of hair by one or two shades. For this reason, you should also not expect any dramatic changes when dyeing your hair at home. Extreme color changes require a number of different processes, so you would be best off heading to a professional if this is what you are after. Semi-permanent dyes do not contain a developer, and will turn your hair darker and darker the longer you leave them in. This means that you should opt for a shade that is slightly lighter than the final outcome you want. When looking at the different boxes of hair dye on a shop shelf, you will likely be faced with a number of hair-related terms, referring to the dye type and shade. There is nothing more frustrating than running out of dye when you are only halfway through your hair, so do make sure to buy an extra box or two of hair dye. Pay attention to the length and thickness of your hair when deciding how much to purchase. If your hair is quite thick, and falls to below your chest, then you may even need three boxes of dye in order to obtain full coverage. It is always better to have bought too much than too little, and, if you do not end up opening one of the boxes, you can always return it the next day. 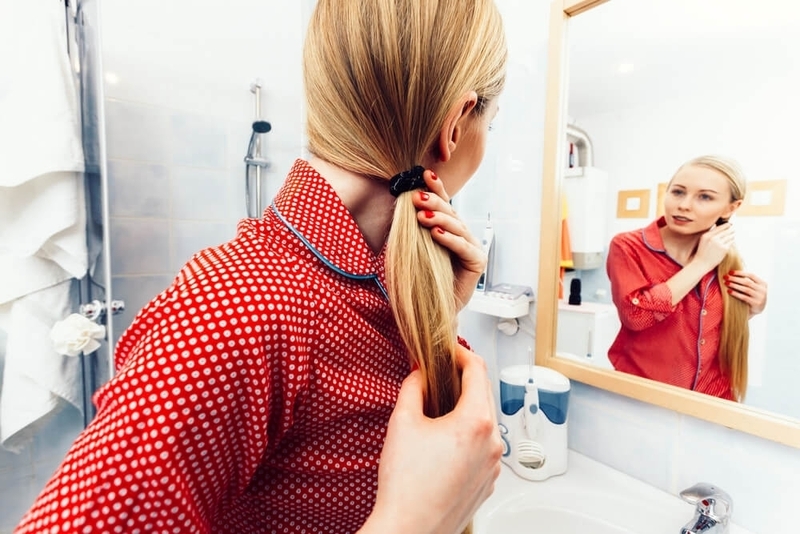 Dyeing hair at home can often result in uneven patches of color, but, by sectioning your hair up at the beginning, you will be able to avoid this. When applying the dye to each section of your hair, make sure that you start at the back, and work your way over to the front. Well, the back of your hair is naturally darker than the front, so it makes sense for the dye to be sitting on this part the longest. You should also keep each section clipped back well, only letting them down one at a time. This will ensure that you apply the hair dye evenly and consistently. Another common mistake that is made is that people often miss spots on the back of their head, and there is no denying that it can be difficult to achieve an even application back here when dyeing it yourself. Hold up a handheld mirror behind your head, while you are standing in front of the bathroom mirror. This will enable you to see what you are doing back there, and to keep the application even. No matter how careful you may be, there is no denying that the process of dyeing your hair at home can often get quite messy. From stained clothes to stained counter-tops, dye can often be frustrating to clean up. Make sure that you get fully organized. Read the instructions that come with the dye thoroughly, so that you know all the steps involved beforehand. Gather up all of the tools that you will need and lay them out in front of you, as this means that you will not have to stop mid-way to look for something. While you can purchase salves that will prevent any hair dye from staining your hairline, these can often be quite harsh on the skin. Instead, opt for a clear, solid lip balm, and simply apply this all the way along your hairline. Not only will this protect the skin here, but the size of a stick of lip balm makes it so easy to apply. If it is only the roots of your hair that need some extra color, then you definitely do not need to dye your entire head. Over time, as you add more and more color with each dyeing session, your hair will end up darker in general. 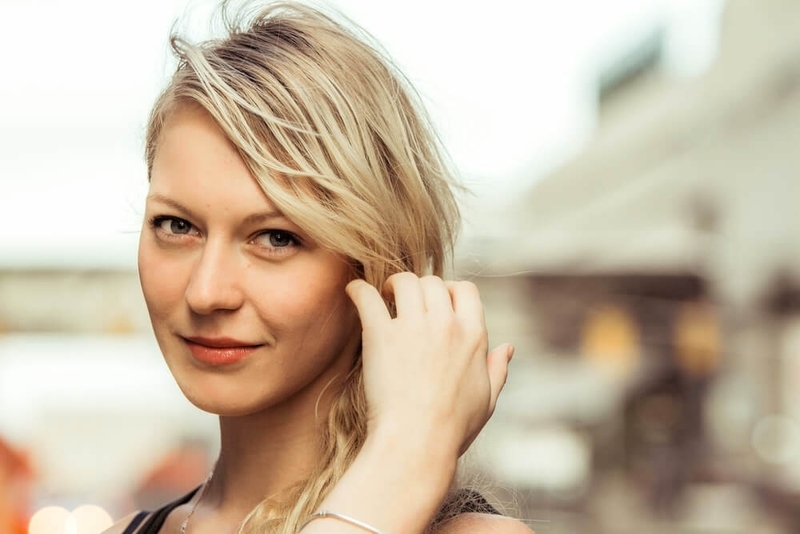 This will only result in your roots looking lighter and brighter, and the rest of your hair looking darker, making the contrast between the two even more noticeable. The fact that the ends of your hairs are also more porous, meaning that they soak up color far quicker than your roots, exacerbates this issue. To prevent this, make sure that you apply the hair dye to your roots only, and refrain from overlapping your new dye onto your previously dyed hair. Using a color brush, rather than simply squirting the dye out onto your roots, will help you to be more precise with your application. If you notice that the run-offfrom the dye on your roots is still staining the ends of your hair, mix a teaspoon of cornstarch into the dye the next time you are coloring your roots. This will prevent it from dripping down and accidentally dying the ends of your hair. Apply a layer of conditioner from the middle to the ends of your hair, as this will coat this part of each strand and prevent the dye from penetrating in. 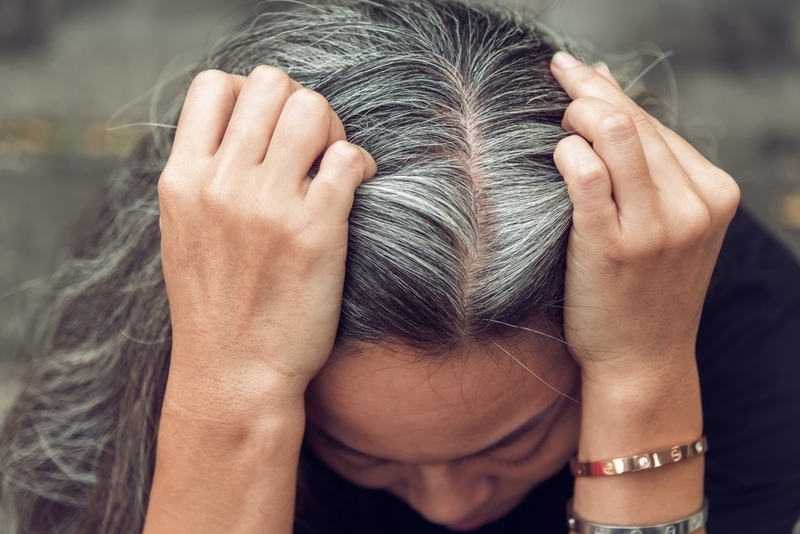 Grey hair can be much more resistant to hair color, which makes dyeing them slightly tricky. This is simply hair that has lost its natural pigment, and, when contrasted against the rest of your hair, it takes on a grey-ish appearance. If your pigmented strands still outnumber your grey hairs, then dyeing them at home is a great way to cover them up, as it is easy and inexpensive. Demi-permanent hair dyes are extremely effective at softly blending away grey hairs, but only work well if you do not have too many greys. 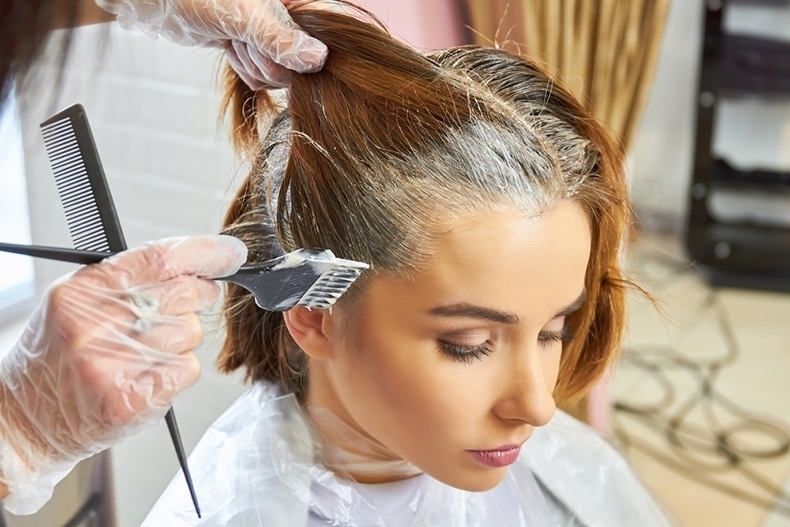 If your greys are starting to outnumber your pigmented strands, then you may be best off going for a permanent hair dye formula, or visiting a salon. So, what happens if you only have a few individual grey hairs, and do not want to dye your whole head? Well, there is no reason as to why you cannot dye those individual hairs only. Simply choose a color that is close to your natural hair color, and mix this up at home. Then, use a cotton swab to apply the color to your individual grey strands. If your greys tend to be concentrated around your roots, look for a dye that is designed to be used as a root touch up. Once your hair has been dyed, there are still steps that you can take to ensure that the color stays vibrant and strong for longer. 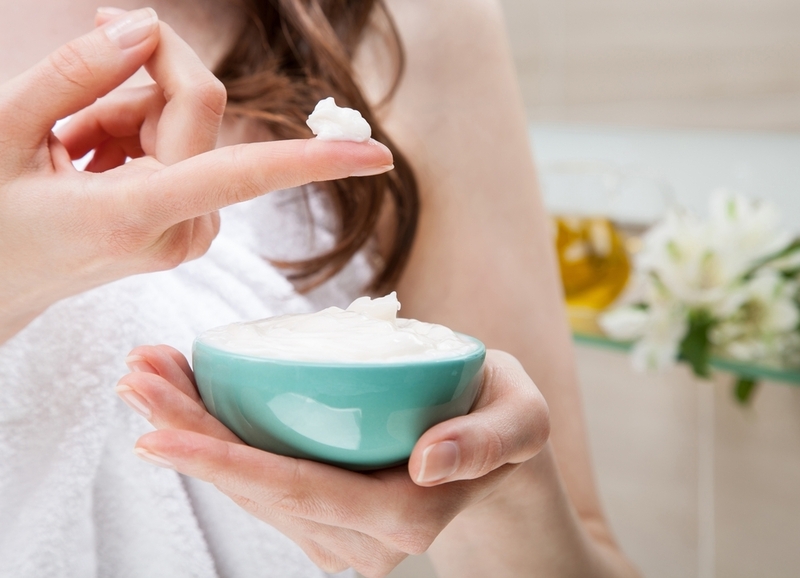 While some shampoos are formulated to do specific tasks, such as clarify your hair or fight against dandruff, these tend to contain ingredients such as sulfates and harsh chemicals. This will only end up stripping your hair of its color, so try to find a quality color-preserving shampoo instead. Well, the answer is a big yes. Color preserving shampoos work by forming a lightweight but extremely protective shield over the hair shaft, preventing the color from being stripped away. They will also contain the nutrients that your hair needs in order to maintain the color for longer. However, even if you have purchased a color preserving shampoo, refrain from washing your hair for at least 48 hours after dyeing it. This will give your hair cuticles time to close back up, meaning that the color will not be washed out and away. 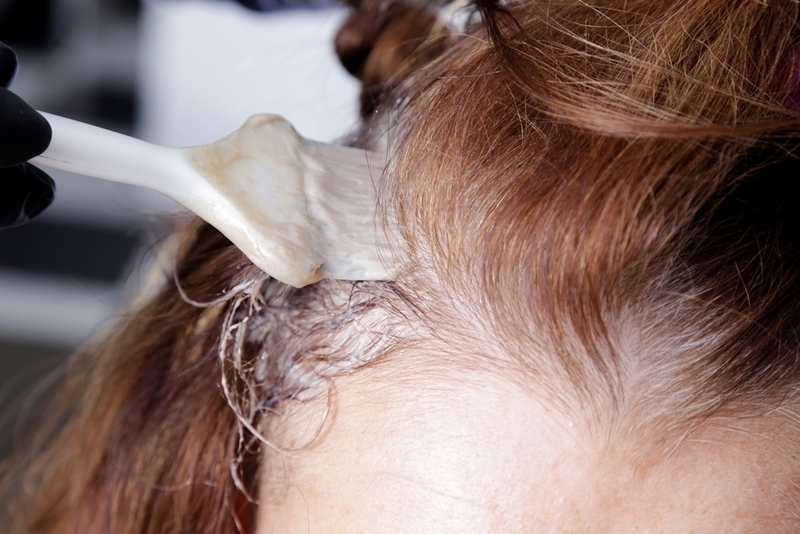 The majority of hair dyes out there contain hydrogen peroxide, and this is the case for both permanent, demi-permanent and semi-permanent dyes. This means that your hair is always going to end up slightly damaged after each time you dye your hair. A hair mask is a great way to repair any damage that the dye has caused, and can be used about once a week. 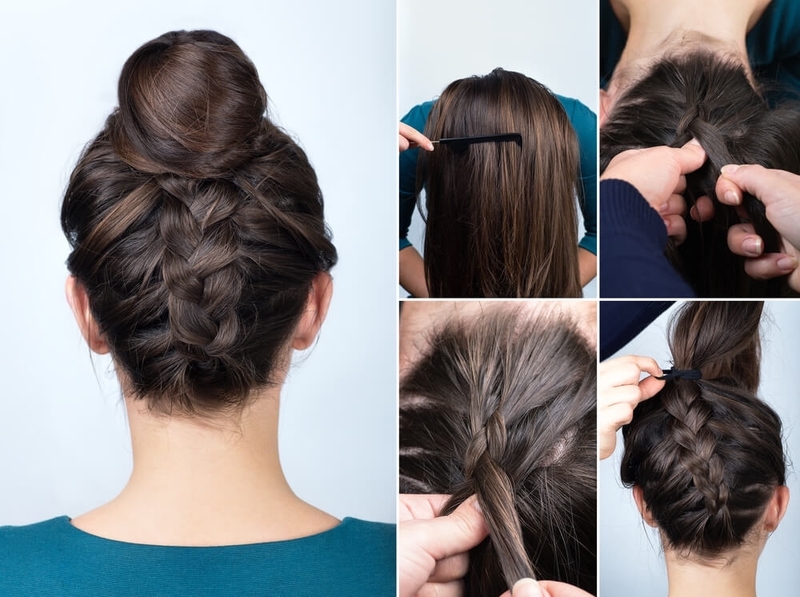 Try to choose one that is also designed to fortify your hair strands, which will help to prevent any further breakages. By being fully prepared before the dyeing process, and understanding how best to care for your hair afterwards, you will be well on your way to achieving a professional-looking, salon-quality color job.